How can I remove urine odors from my carpet? Source odors, such as urine, can be neutralized with OdorKlenz-S. This product is directly applied to the contaminated area and then removed with a hot water extractor for best results. If you don’t have a hot water extractor, you can let it dry then brush and vacuum it out. Where can I buy OdorKlenz products at? The best place is right here @ odorklenz.com. If you want them in a store near you, ask your store to carry the product. What fabrics can I use OdorKlenz Laundry on? It can be used on most machine washable fabrics. It is probably best to avoid delicate clothing as the corresponding wash cycles do not have enough agitation to ensure contact between the OdorKlenz and odor source. Can I soak my clothes or linens with OdorKlenz laundry? Soaking can be an alternative treatment with OdorKlenz Laundry. We recommending soaking the clothing in warm water alone for 10 minutes or more, then moving the clothing to fresh warm water with OdorKlenz. What is the difference between the OdorKlenz powder laundry and the OdorKlenz laundry liquid? The products use the same base active materials. The only difference is the carrier materials. The liquid version uses water, while the dry version has sodium carbonate. How long will the OdorKlenz HVAC filter last in my Home? This will vary based on conditions (odors levels, how long the units run, temp, and humidity), but generally you will get 3 months of active lifetime under normal maintenance conditions. How Can I remove Cat urine from my mattress? Source odors, such as urine, can be neutralized with OdorKlenz-S. This product is directly applied to the contaminated area, allowed to soak into the mattress and then removed with a hot water extractor for best results. Does OdorKlenz laundry additive remove fragrance and perfume smells from clothes? Yes. OdorKlenz products don’t discriminate odors sources. Pleasant or not, the active sites on OdorKlenz seek out chemicals and odors. Clean has no odor. Can OdorKlenz Laundry Additive remove fragrances left behind by detergents and fabric softeners? Does OdorKlenz laundry remove odors and fragrances that we left behind in a washing machine from pervious user? Yes. OdorKlenz products can be used to prevent odors in washing machines from depositing on to your clothing. What can I use to remove odors from my shoes? Yes. OdorKlenz Sport Powder is ideal for this situation and best of all the odors don’t have to be athletic related as the product can work on all types of odors. If for any reason you are not happy with your OdorKlenz purchase and there is nothing that we can do to help, give us a call or email at custserv@timilon.com and we will refund you back 100% of your money within 30 days of your purchase. 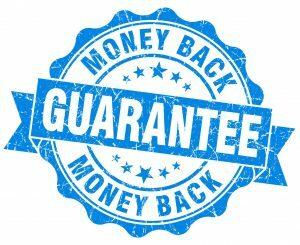 We are confident that you will love and find that OdorKlenz products are your trusted source for safe and complete odor elimination that we are offering our no question asked 100% 30-day money back guarantee to all of our Customers.